In just thirty days Mom and I will be setting out on a trip to the UK. I can’t believe I just wrote that sentence, and I really can’t believe how quickly our departure is approaching! Many of you know that I am a huge anglophile, so any book that deals with traveling around the UK is likely to find its way onto my bookshelf. 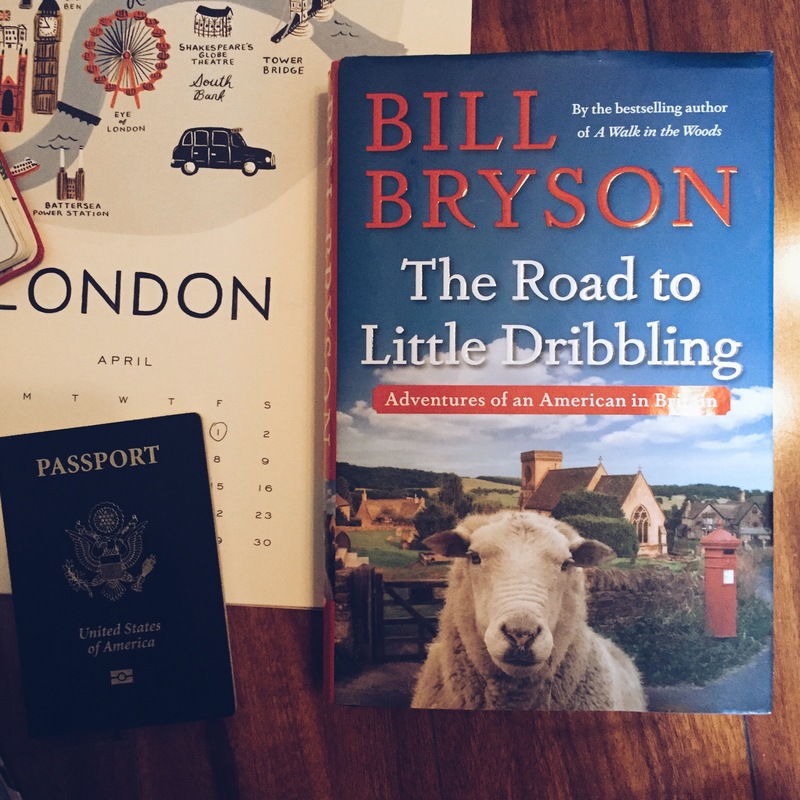 When I found out that Bill Bryson was releasing a new book about Britain, I knew I had to read it before we set off–maybe Bryson could offer us some tips for our trips! Bill Bryson is the bestselling author of many wonderful books, including A Walk in the Woods, which was just recently released as a movie. His first book about travel in Britain, Notes from a Small Island, is hilarious and upbeat. 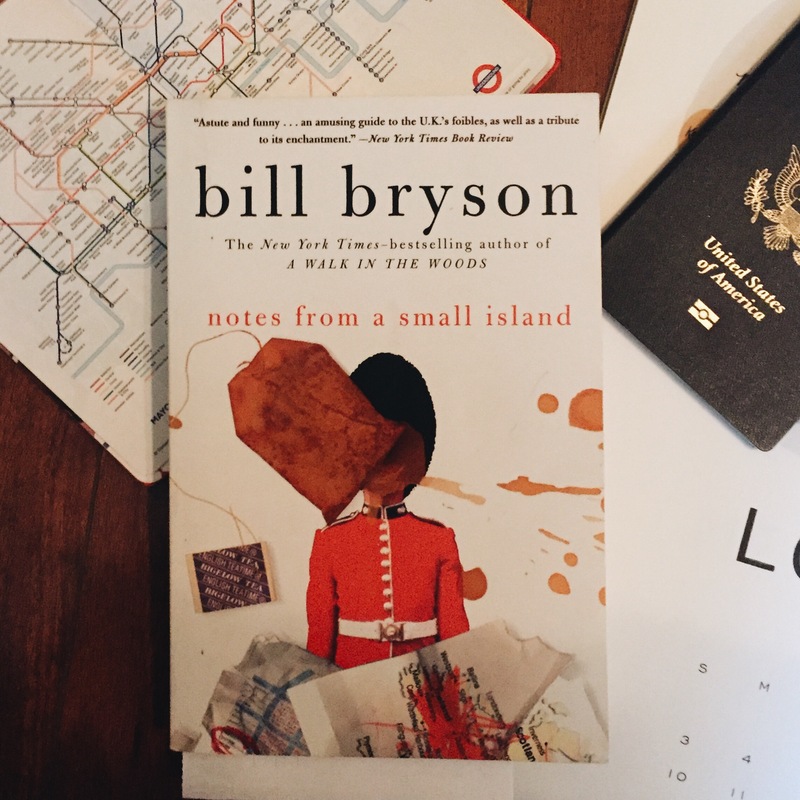 I read Notes from a Small Island in 2014, and it gives a great glimpse of Bryson’s travels across Britain by any means necessary. His latest book, The Road to Little Dribbling is sort of a “follow up” to Notes from a Small Island. Bryson travels across Britain again, from London to Cape Wrath in Scotland. He revisits some of the same places, but he also describes plenty of places he didn’t mention in the first book. Much like all of his work, The Road to Little Dribbling is funny and a little off-color. Bryson complains about something in almost every place he visits, but by the end of the book he writes very simply of his love for Britain. He is a citizen of both the UK and the US, and he writes a good explanation of what it means to him to be a citizen of both places. I’m glad I read this second installment of his various travels and missteps across Britain. 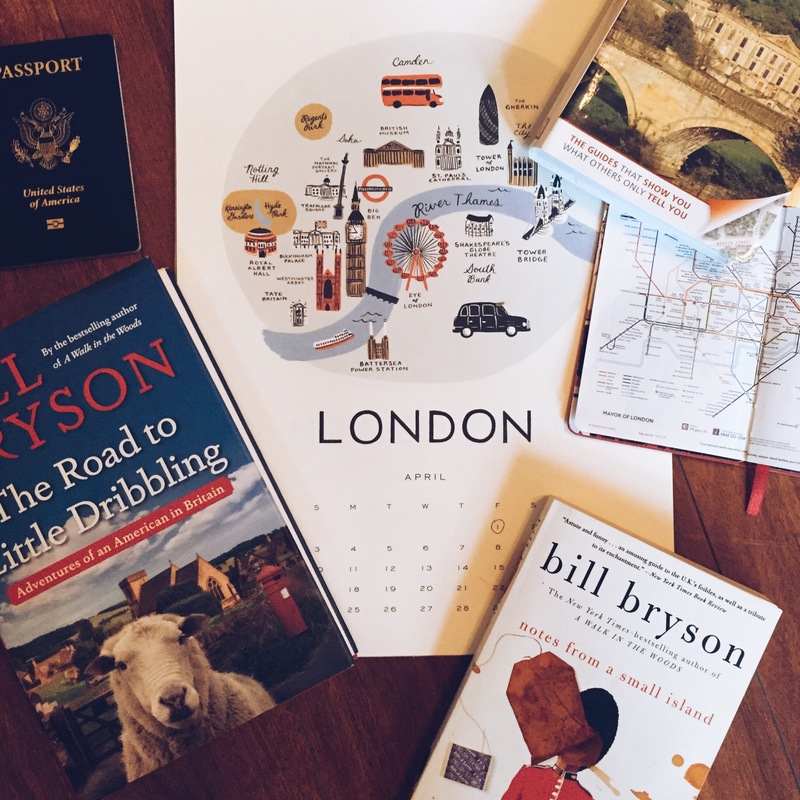 Though most of the places he lists are pretty far off the beaten track and require miles worth of walking to visit, he did give me at least one or two ideas for places to visit in April when Mom and I cross the pond. If you’re planning a trip to the UK in the near future, or if you just love all things British, I recommend you check out his books! I’ve already bought his book The Mother Tongue: English and How it Got That Way, because if anyone can make linguistics interesting, I’m sure he can. Check back for that review!